Illegal drugs have become for terrorist quasi-state groups what gold and foreign currency reserves are for other economies, the head of the Russian state anti-drug agency Victor Ivanov said at an international conference in Africa. The overall annual income from the illegal drugs trade exceeds $500 billion. This money fuels the financial and organizational basis for new powerful entities that then compete with traditional states, Ivanov said at the “Moscow-African anti-drug dialogue” event that is taking place in Gambia’s capital Banjul. “Illegal drugs form some sort of gold and foreign currency reserves for quasi-state groups,” he said. Such quasi-state entities use the huge financial clout of the illegal drugs trade to attract and structure significant human resources. They offer their members an ideological basis that unites them, thus acquiring features of quasi-states, the Russian official explained. “Boko Haram, Islamic State (IS, previously known as ISIS and ISIL) and a number of others are all examples of such evolution,” the Russian drugs tsar said. 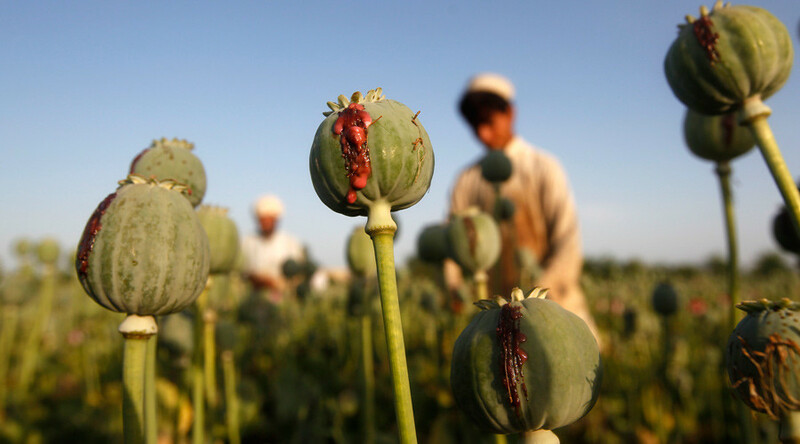 In March, Ivanov said in a press interview that Islamic State (IS, formerly known as ISIS/ISIL) made up to $1 billion annually from Afghan heroin trafficked through its territory. He predicted another record-high poppy harvest in the terrorist-controlled lands. He also urged raising the issue of fighting the IS drugs trade on the highest international level, including at the UN as this is a global security threat. Russia currently recognizes Islamic State and the affiliated group Al-Nusra Front as terrorists, which means Russian citizens are banned from participating in these organizations or rendering any support to them under threat of criminal prosecution. The Russian Foreign Ministry earlier called upon all nations to recognize the two groups as terrorists. In March, the head of Russia’s State Security Council, Nikolay Patrushev, called on the international community to abandon double standards on terrorism and start fighting the threat in line with universally recognized norms of international law. In addition, Russian Muslim unions have issued fatwas against IS denouncing them as enemies of Islam and calling for the trial and punishment of all its members.